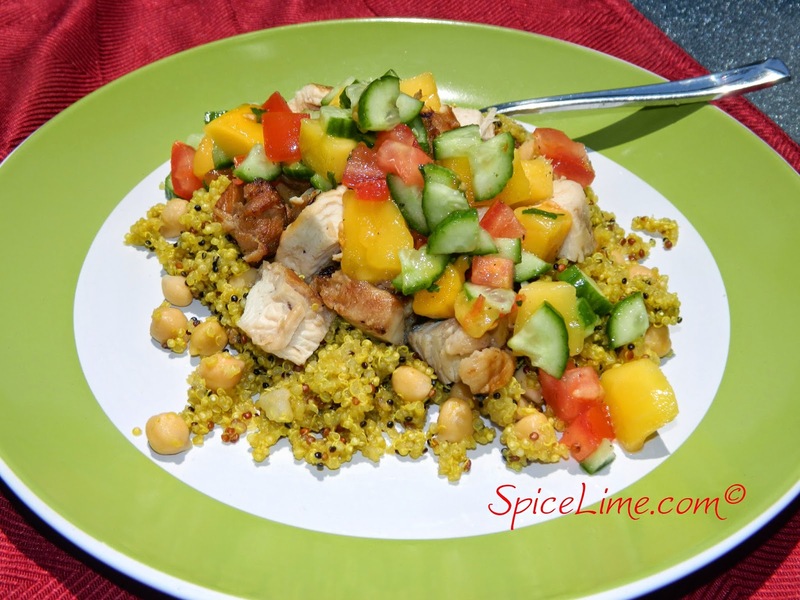 A healthy quinoa salad with Indian flavors - curry, chickpeas, cucumber, mango and mint. It makes a light and delicious lunch or dinner! In a bowl, combine cucumber, tomato, mango, mint, salt and pepper. Mix well and reserve. 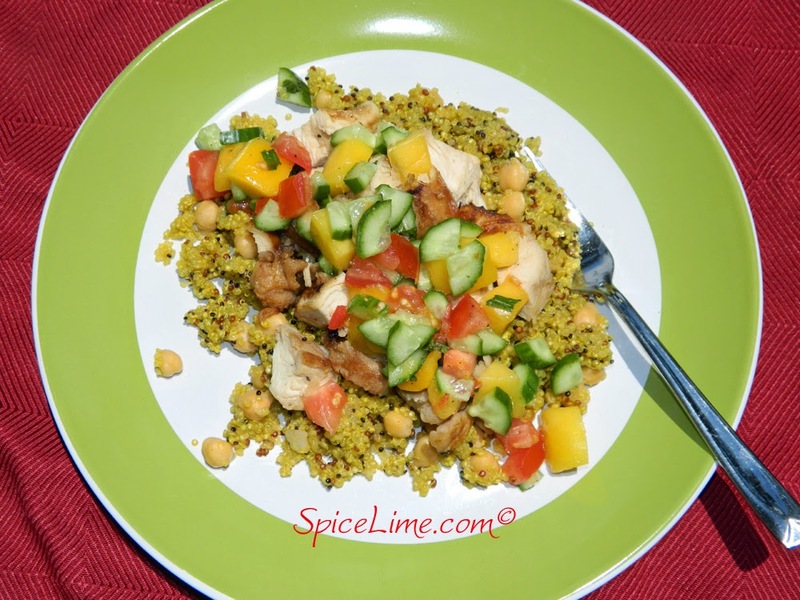 In a medium pot, combine quinoa, chicken broth, curry powder and garlic powder. Bring to a boil over medium heat. Reduce heat to medium-low and cover. Let cook until quinoa is tender and most of the liquid is absorbed, about 15 minutes. Stir in garbanzo beans. Cover and remove from heat. Let stand for 5 minutes. Taste and add salt if desired. To serve, spoon quinoa and chickpeas onto plate. Top with diced chicken, then cucumber-tomato salad.